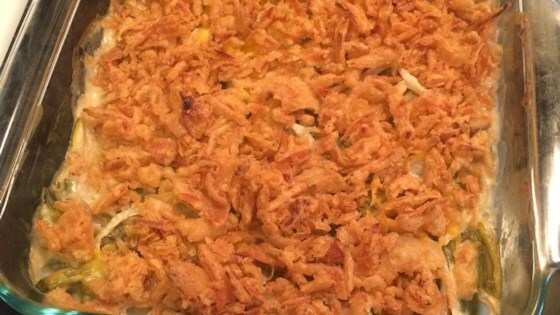 "This is a holiday favorite with my family and it's easy to make. It should be a tradition in every household!" This maybe would have been better if you used fresh green beans. It was way to salty for my taste! great classic recipe. The only thing I change is I add 4 oz cream cheese per can of soup. Makes the casserole very creamy! Excellent. Just a note: if you used frozen green beans, heat them up in the microwave first! Also, buy the larger can of fried onions - they are great on the top.